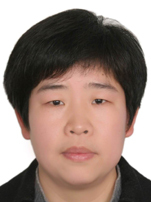 (1) Xianxia Yuan, Hansan Liu, Jiujun Zhang (editors), Lithium-ion Batteries: Advanced Materials and Technologies. CRC Press, Taylor & Francis Group, USA. 2011. ISBN: 9781439841280. 1 Xianxia Yuan, Xin Zeng, Hui-Juan Zhang, Zi-Feng Ma, Chao-Yang Wang*. Improved Performance of Proton Exchange Membrane Fuel Cells with p-Toluenesulfonic Acid-Doped Co-PPy/C as Cathode Electrocatalyst. Journal of the American Chemical Society 132(2010)1754. 2 Xianxia Yuan, Xin-Long Ding, Chao-Yang Wang*, Zi-Feng Ma. Use of polypyrrole in catalysts for low temperaturefuel cells. Energy & Environmental Science. 6 (2013)4:1105. 3 Zhong Ma, Xianxia Yuan*, Lin Li, Zi-Feng Ma, David P. Wilkinson, Lei Zhang, Jiujun Zhang. A Review of Cathode Materials and Structures for Rechargeable Lithium-Air Batteries. Energy & Environmental Science 8(2015)2144. 4 Delong Mei, Xianxia Yuan*, Zhong Ma, Ping Wei, Xuebin Yu, Jun Yang, Zi-Feng Ma. SnO2-based cathode catalyst for lithium air batteries. ACS Applied Materials & Interfaces 8(2016)20:12804. 5 Xianxia Yuan*, Lin Li, Zhong Ma, Xuebin Yu, Xiufang Wen, Zi-Feng Ma, Lei Zhang, David P. Wilkinson, Jiujun Zhang. Novel nanowire-structured polypyrrole-cobalt composite as efficient catalyst for oxygen reduction reaction. Scientific Reports 6(2016)20005. 6 Jiemei Yu*, Xueping Gao, Guozhu Chen, Xianxia Yuan*. Electrocatalytic performance of commercial vanadium carbide for oxygen reduction reaction. International Journal of Hydrogen Energy 41(2016)4150. 7 Zhong Ma, Xianxia Yuan*, Lin Li, Zi-Feng Ma, Lei Zhang, Liqiang Mai, and Jiujun Zhang. Porous Ni0.14Mn0.86O1.43 Hollow Microspheres as Superior Anodes for Lithium Ion Batteries. Journal of Power Sources 291(2015)156. 8 Lin Li, Xianxia Yuan*, Zhong Ma, Zi-Feng Ma. Properties of pyrolyzed carbon-supported cobalt-polypyrrole as electrocatalyst towards oxygen reduction reaction in alkaline media. Journal of the Electrochemical Society, 162(2015)F359. 9 Zhong Ma, Xianxia Yuan*, Zhenlin Zhang, Delong Mei, Lin Li, Zi-Feng Ma, Lei Zhang, Jun Yang, Jiujun Zhang. Novel Flower-like Nickel Sulfide as an Efficient Electrocatalyst for Non-aqueous Lithium-Air Batteries. Scientific Reports 5(2015) 18199. 10 Zhong Ma, Xianxia Yuan*, Lin Li, Zi-Feng Ma. Double Perovskite Oxide Sr2CrMoO6-δ as an Efficient Electrocatalyst for Rechargeable Lithium Air Batteries. Chemical Communications 50(2014)14855. 11 Hao-Dong Sha, Xianxia Yuan*, Lin Li, Zhong Ma, Zi-Feng Ma, Lei Zhang, Jiujun Zhang. Experimental identification of the active sites in pyrolyzed carbon-supported cobalt-polypyrrole-4-toluenesulfinic acid as electrocatalysts for oxygen reduction reaction. Journal of Power Sources 255(2014)76. 12 Xianxia Yuan*, Hao-Dong Sha, Xin-Long Ding, Hai-Chuan Kong, He Lin, Wen Wen, Taizhong Huang, Zhi Guo, Zi-Feng Ma, Yong Yang. Comparative investigation on the properties of carbon supported cobalt-polypyrrole pyrolyzed at various conditions as electrocatalyst towards oxygen reduction reaction. International Journal of Hydrogen Energy 39(2014)15937. 13 Xianxia Yuan*, Hai-Chuan Kong, Yi-Jun He, Zi-Feng Ma, Yong Yang, Qian Li. Effects of composition on electrochemical properties of a non-precious metal catalyst towards oxygen reduction reaction. International Journal of Hydrogen Energy 39(2014)16006. 14 Hui-Juan Zhang, Xianxia Yuan, Zi-Feng Ma, Wen Wen, Junhe Yang. Investigation of Non-Precious Metal CoN4-Based Oxygen Reduction Catalyst by Electrochemical and X-ray Absorption Spectroscopy Techniques. Journal of the Electrochemical Society 161(2014) H155. 15 Xianxia Yuan*, Xin-Xin Hu, Xin-Long Ding, Hai-Chuan Kong, Hao-Dong Sha, He Lin, Wen Wen, Guangxia Shen, Zhi Guo, Zi-Feng Ma, Yong Yang. Effects of cobalt precursor on pyrolyzed carbon-supported cobalt-polypyrrole as electrocatalyst towards oxygen reduction reaction. Nanoscale Research Letters 8(2013)478. 16 Hao-Dong Sha, Xianxia Yuan*, Xin-Xin Hu, He Lin, Wen Wen, Zi-Feng Ma. Effects of pyrrole polymerizing oxidant on the properties of pyrolysed carbon-supported cobalt-polypyrrole as electrocatalysts for oxygen reduction reaction. Journal of the Electrochemical Society 160(2013)F507. 17 Hui-Juan Zhang, Xianxia Yuan*, Zhenhao Wang, Junhe Yang, Zi-Feng Ma*. Pyrolyzed iron-triethylenetetramine on carbon as catalyst for oxygen reduction reaction. Electrochimica Acta 87(2013)599. 18 Hai-Chuan Kong, Xianxia Yuan*, Xiao-Yun Xia, Zi-Feng Ma. Effects of preparation on electrochemical properties of CoTMPP/C as catalyst for oxygen reduction reaction in acid media. International Journal of Hydrogen Energy 37 (2012)13082. 19 Zhong Ma, Xianxia Yuan*, Hao-Dong Sha, Zi-Feng Ma, Qian Li. Influence of cathode process on the performance of lithium air batteries. International Journal of Hydrogen Energy 38(2013)11004. 20 Hui-Juan Zhang, Hai-Chuan Kong, Xianxia Yuan*, Qi-Zhong Jiang, Junhe Yang, Zi-Feng Ma*. Influence of metal precursors on the catalytic activity and structure of non-precious metal electrocatalysts for oxygen reduction reaction. International Journal of Hydrogen Energy 37(2012)13219. 21 Hui-Juan Zhang, Xianxia Yuan*, Liangliang Sun, Junhe Yang, Zi-Feng Ma*, Zongping Shao. Synthesis and characterization of binary non-precious metal electrocatalyst for oxygen reduction reaction in proton exchange membrane fuel cells. Electrochimica Acta 77(2012)324. 22 Xianxia Yuan*, Chao Jia, Xin-Long Ding, Zi-Feng Ma. Effects of heat-treatment temperature on properties of Cobalt-Manganese-Boride as efficient catalyst toward hydrolysis of alkaline sodium borohydride solution. International Journal of Hydrogen Energy 37(2012)995. 23 Taizhong Huang*, Xianxia Yuan*, Jiemei Yu, Zhu Wu, Jitian Han, Guoxin Sun, Naixin Xu, Yihe Zhang. Effects of annealing treatment and partial substitution of Cu for Co on phase composition and hydrogen storage performance of La0.7Mg0.3Ni3.2Co0.35 alloy. International Journal of Hydrogen Energy 37(2012)1074. 24 Xin-Long Ding, Xianxia Yuan*, Chao Jia, Zi-Feng Ma. Hydrogen generation from catalytic hydrolysis of sodium borohydride solution using Cobalt-Copper-Boride (Co-Cu-B) catalysts. International Journal of Hydrogen Energy 35(2010)11077. 25 Hui-Juan Zhang, Xianxia Yuan, Liangliang Sun, Xin Zeng, Qi-Zhong Jiang, Zongping Shao, Zi-Feng Ma. Pyrolyzed CoN4-chelate as an electrocatalyst for oxygen reduction reaction in acid media. International Journal of Hydrogen Energy 35(2010)2900. 26 Hui-Juan Zhang, Xianxia Yuan, Wen Wen, Dong-Yun Zhang, Liangliang Sun, Qi-Zhong Jiang, Zi-Feng Ma. Electrochemical performance of a novel CoTETA/C catalyst for the oxygen reduction reaction. Electrochemistry Communications 11(2009)206. 27 Ya-Jun Chao, Xianxia Yuan, Zi-Feng Ma. Preparation and characterization of carbon cryogel (CC) and CC-SiO composite as anode material for lithium ion battery. Electrochimica Acta 53(2008)3468. 28 Xianxia Yuan, Ya-Jun Chao, Zi-Feng Ma, Xiaoyan Deng. Preparation and characterization of carbon xerogel (CX) and CX-SiO composite as anode material for lithium-ion battery. Electrochemistry Communications 9(2007)2591. 29 Xianxia Yuan, Zi-Feng Ma, Yanna Nuli, Naixin Xu. Study on hydrogen diffusion behavior in AB5-type hydrogen storage alloys with galvanostatic intermittent titration technique (GITT). Journal of Alloys and Compounds 385(2004)1-2:90. 30 Xianxia Yuan and Naixin Xu. Electrochemical and hydrogen transport kinetic performance of MlNi3.75Co0.65Mn0.4Al0.2 metal hydride electrode at various temperatures. Journal of the Electrochemical Society 149(2002)4:A407.